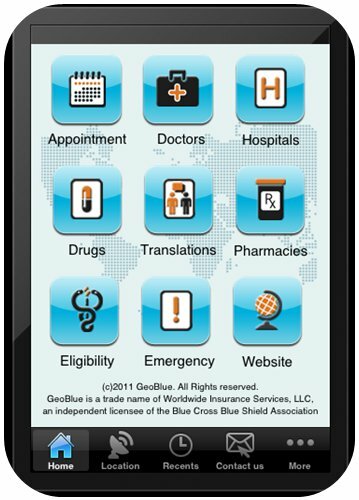 GeoBlue Short-Term International Travel Medical Insurance. Providing global travelers with comprehensive worldwide coverage coupled with access to qualified doctors and hospitals in over 180 countries. GeoBlue Voyager “Short-Term” plan (Quote) coverage for 2 days up to 6 months. GeoBlue Xplorer “Long-Term” (Quote) 6 months up to permanent policies. If you are looking for long term coverage click here to view the Xplorer plan benefits. Rate Chart: The premiums below are per day. Requirements for an insured person: An insured person must be under age 85, and enrolled in a Primary Plan; and Home Country is the U.S.: and for children under age 6, must be enrolled with a parent; and initial purchase must be made in home country prior to departing on trip. Primary Plan is a Group health benefit plan, an individual health benefit plan or a governmental health plan designed to be the first payer of claims for an insured person. If Medicare is the primary plan, see the Certificate of Coverage to determine how this plan will pay benefits. Note: Medicaid and VA benefits are not deemed a primary health plan. GeoBlue has an elite network of doctors from most every specialty ready to see you in over 180 countries. Only a small fraction of doctors around the world meet GeoBlue’s exacting standards—participation is by invitation only. We seek out professionals certified by the American or Royal Board of Medical Specialties who speak English, and we factor in recommendations by over 158 Physician Advisers from all over the world. Great Technology at your Fingertips … GeoBlue Voyager Travel Insurance company has some interesting and useful applications you can use on any mobile device. Quickly and conveniently connect to quality care across the globe for anything from emergency needs, to filling a simple prescription, to translating your symptoms, to finding the right doctor at home or abroad.